Carp is one of the most coveted trophy for any angler. Fishing for carp is always accompanied by a powerful emission of adrenaline as the fight with the hooked fish can be long and extremely stubborn. Not always even the most skilled fisherman emerges victorious in the battle with this river "monster" like carp. This fish is very cunning and cautious, and hooked, she is able to exert a powerful resistance. The main weapon of the carp his instant reaction to cutting and instant jerk under driftwood, in great depth, or at any other place of the reservoir, where it is possible not only to hide but to deprive a fisherman all of his equipment. 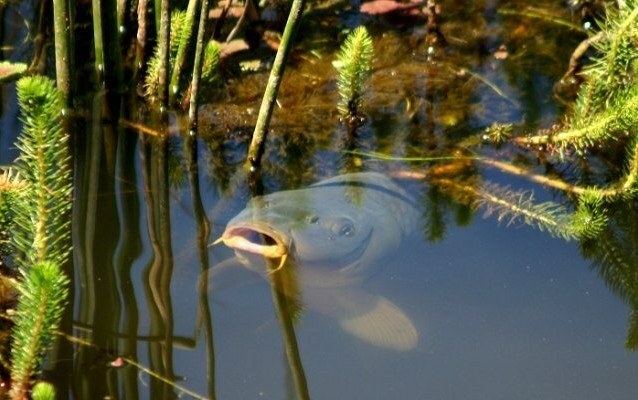 Fishing for carp – special and exciting, it's like a battle with an equal force of the enemy, either you him or he you. Perhaps the most important factor when fishing this representative of the carp – good luck, but a lot also depends on the gear. If luck cannot be controlled, it is easier to tackle – we only need to choose the most appropriate and reliable. Poles are the optimal choice for carp fishing, fishing is a traditional fixture is perfect for catching carp in hard to reach areas of the reservoir. Poles are quite popular among fishermen as to throw it in places with underwater snags, and among the bushes, and into the Windows formed in a kelp forest. For catching carp rod flywheel you must use the corresponding – powerful and is able to withstand a greater load. The rod length should be four to five metres. In General, it is possible to use a fishing rod designed for catching big fish. Complete with durable centrifugal fishing rod, you need to have a tackle: fishing line – 0,5-0,7 mm; leash length of 50-60 cm; special hooks (preferably roasted) No. 6-4. Choose the right float for carp tackle on your own, however it is better to give preference to a light float, which is responsive even at the weakest bite. Donk or zakidushka is another traditional and popular fishing device that is suitable for catching carp in still water and in current. This simple rig consists of a cut solid line (better to use the line of 0.8-1.0 mm) with a sliding sinker, the weight of which shall not be less than 60 g.
When mounting the bottom of the gear to the main fishing line must be attached to the leash with a length of 40-50 cm Hook, attached to a leash, as in the case with centrifugal line, it is necessary to use very durable – it is better hot, with triple chemical sharpening. The size of the hook for bottom carp fishing should be No. 2. In order to securely attach the bottom tackle on the Bank, it is better to tie to a tree or a specially hammered peg. As alerter bite you can use a special fishing bell.